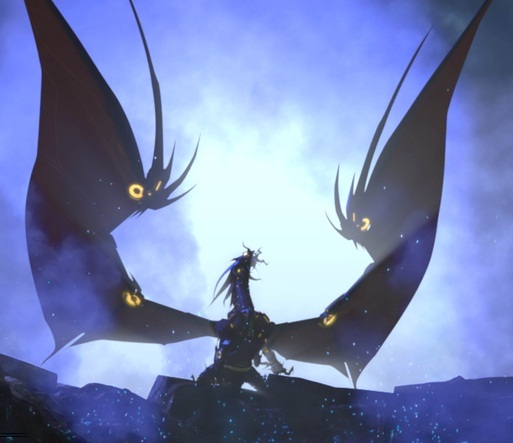 Zap2It has posted a press release from the Hub Network announcing that the Transformers Prime: Beast Hunters – Predacons Rising movie will air on The Hub Network on October 4th at 8 p.m. ET/5 p.m. PT with an encore at 10:30 p.m. ET/7:30 p.m. PT. The network airing is four days before the release of the movie on DVD and Blu-Ray. I hope I'll be able to watch it on Netflix or youtube then. If not, I'll just buy it on Amazon and stream it. At least the HUB will air it b4 the DVD release…barely. Marked on the calendar for sure. Aw, man, I can't wait! Gonna be awesome! So Saturday October 4th. Welp, I should be home to watch it then… that is unless I suddenly get more hours at work. For every half hour we get about 22 minutes of show… Even with commercials your still getting around 100-110 minutes of show/movie. The question is are we getting 5 30 minute blocks or 4 with another 30 minute block of other programming that separates the encore presentation from the actual premier. So… 8:00 to 10:30…. Is it 5 episodes long or is there something else shown between this and the encore presentation? So it's not as much predacons rising as much as it is Galvatron and unicron rising? Didn't see any of the short clips, huh? I am so ready for this. Going to be a long 5 weeks. Ah, good to have confirmation that John Noble's back. Isn't that that same blurb that amazon had until they pulled it? Because Prime hit 65 episodes, which is the number of episodes for a standard syndication package. It's the perfect number because it lets the channel paying for the package air the show five days a week for 13 weeks, which is exactly one quarter of the year. They can air the show in its entirety four times per year this way, which fits nicely into just about any scheduling plan. More than 65 disrupts this balance, and makes the show a tougher sell. It's just business, and really doesn't reflect too much on the ratings or toy sales or the quality of the show itself. It's simply the most efficient way to make money off of the investment they've put into the show's production. I know what they told us, about the magic number 65 and syndication, but there's more to it than that. Not to mention there is no mention of James Horan or Gregg Berger, and we know Wheeljack is in the movie. I've understood the 65 episode methodology for a long time, after all He-Man & the MOTU was the first animated show to do it back in 1982. Still most newer shows dont even reach that episode count. many are being cancled at 39 or even 26. Then you have shows like MLP & Clone Wars that are exceeding that number . Prime is so much better than either of those shows, there is just no justice in this world. Well, I would never ever call TFP better than Clone Wars, but the fact that TFP made it to 65 is the best evidence that it was a successful show in Hasbro's eyes. TFP will pay off for them for years to come as a result, and as you note, a lot of animated shows don't make it that far. It's frustrating to have to start over for such a business-oriented reason, but it's nothing but good news for the brand in the long term. so now I just have to deal with ponies now………..which is not too bad since I don't see this show ending very soon since animation is cheap and it makes lots of money heesh even guys like me like them. Cause if he's not in the movie I will cry. Oh I have no doubt he will be back.